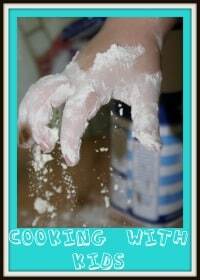 Amy Lane over at Cooking, Cakes and Children runs a montly Bake It! 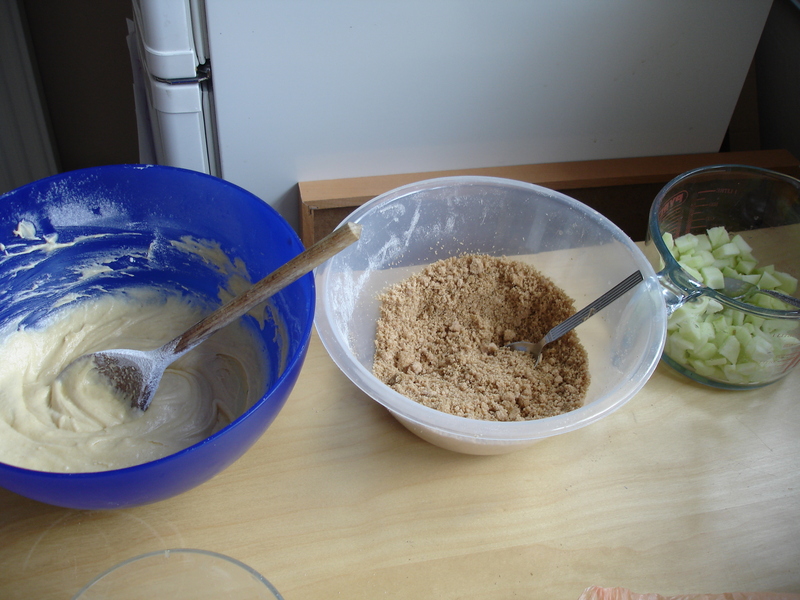 Club, in which she invites people to bake a certain recipe and blog / post pictures of the results. 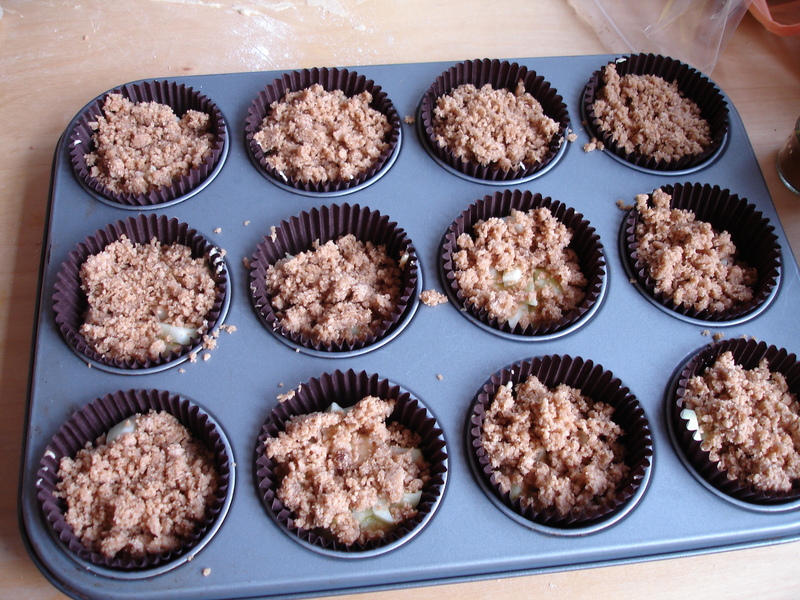 This month’s recipe was Apple Crumble Cupcakes, and happily, her post coincided with my mum handing me a bag full of cooking apples picked from the tree in her garden, so there was literally no excuse not to have a go! I have been doing a bit of baking with Lilly lately, and we’ve both really enjoyed it, so I enlisted her help to make these rather delicious sounding cakes. Then it was time to assemble them. 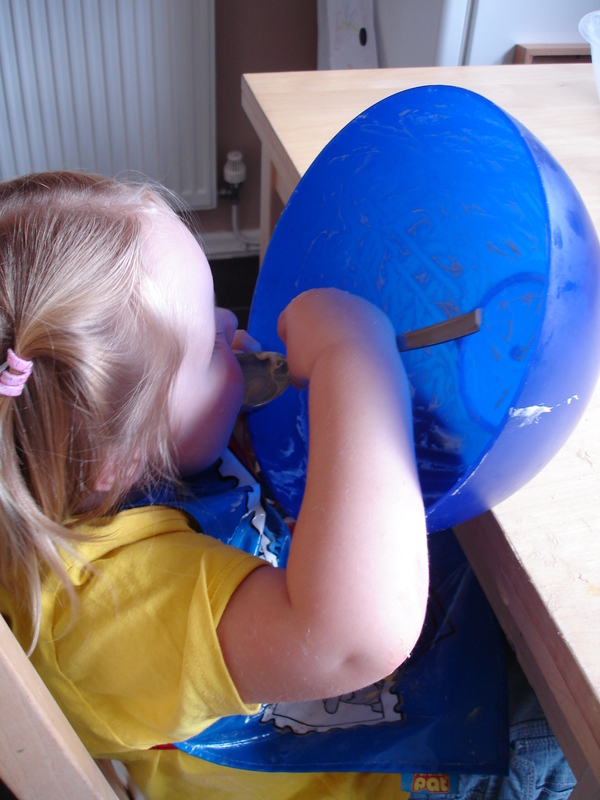 “Don’t you want to help mummy make the cakes, Lilly?” I asked. “NO, I lick the bowl for you”, came the reply. Tsk. Sigh. Such a mother and daughter bonding experience! I have to say Amy, they are delicious. Hubby loved them too. 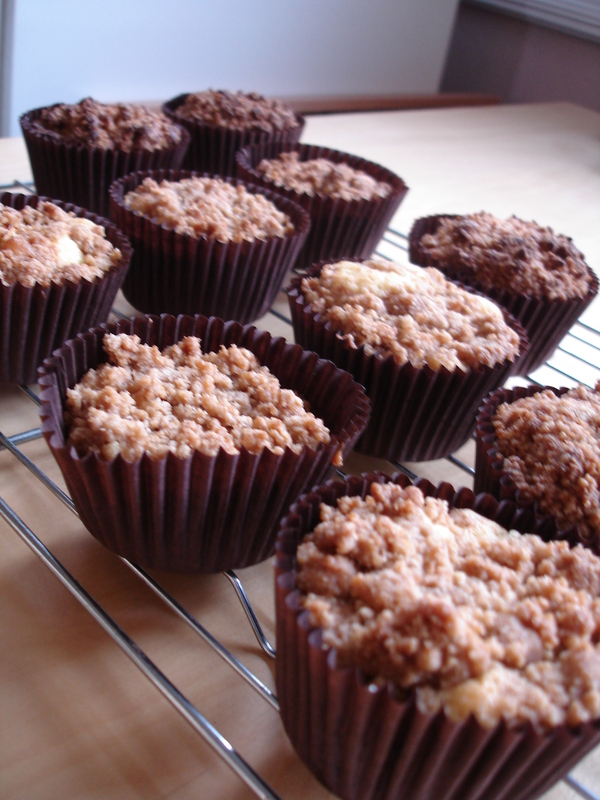 Luckily I still have lots of apples left from my mum’s garden, so I think we will be making lots more of these Apple Crumble Cupcakes… so thanks! Your daughter and cupcakes are gorgeous!!!! 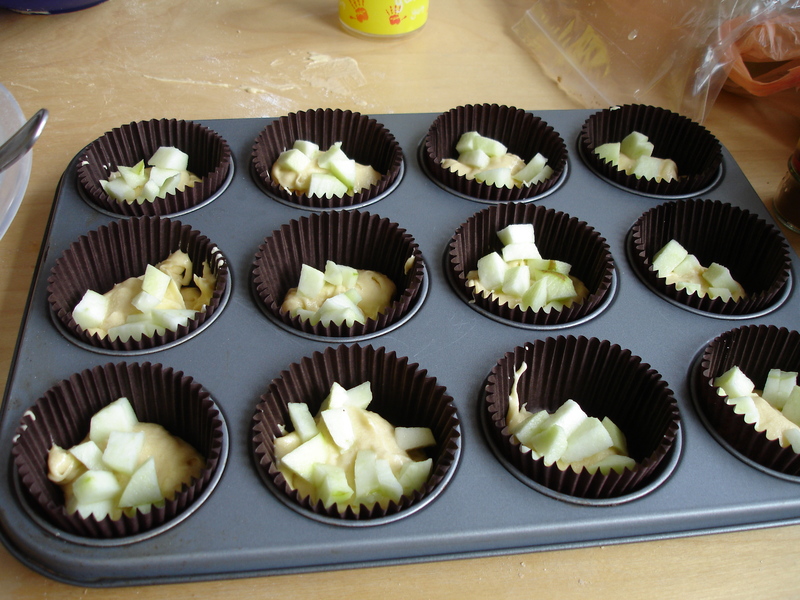 Yours have turned out much neater than mine – think I overloaded the cake cases a tad. 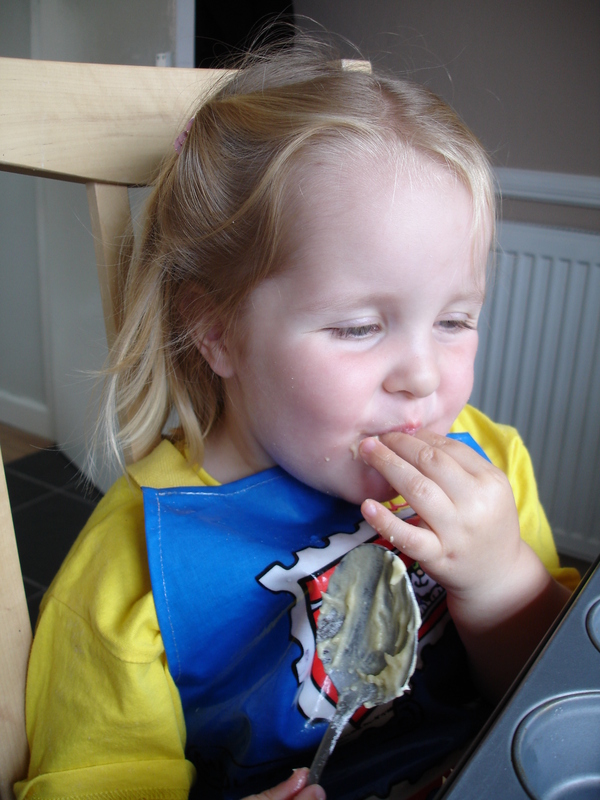 I live bake it club – great excuse for sweet treats!!!! 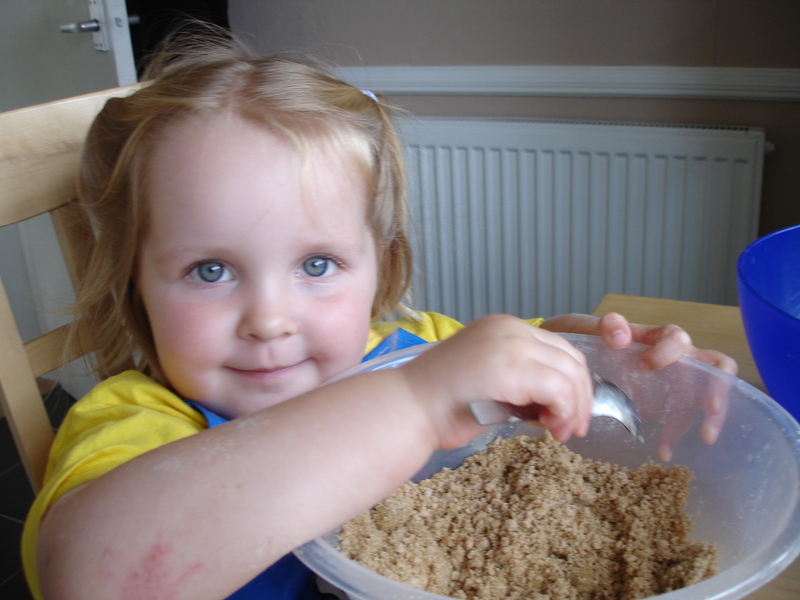 I’m going to have to get in on this act…love baking…hopefully I’ll still have time when I’m back at work…Lily’s help was too cute! They look delicious, absolutely! And how cute is Lilly!!! 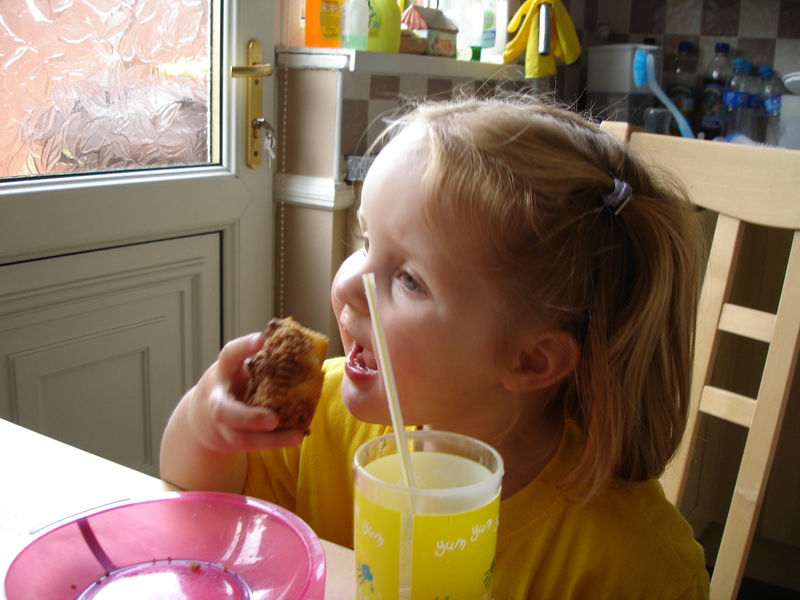 Thanks everyone – she’s just as headstrong as she is cute!